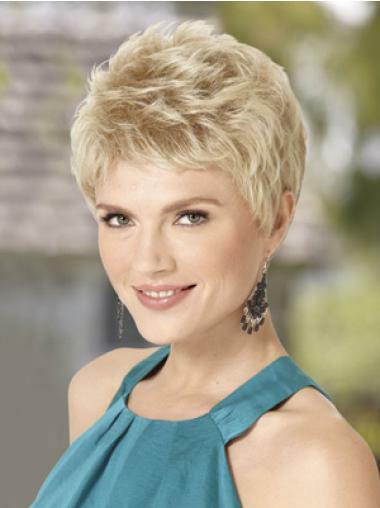 A stunning short-cut wig style featuring volume-rich layers and a light, soft fringe. 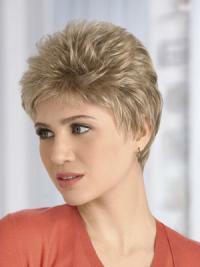 Made from high quality Heat Friendly Synthetic Wig that looks and feels completely natural. I just love it.Love it!The wig was a little big for me but other than that it's great.Easy purchase and Fast delivery. I just love it.I bought this wig two months ago and it’s still in good shape. The style is really cute and the hair is soft.Great buy for the price. This wig is very shiny and softThis wig is very shiny and soft, and I like it. However, the product description is not correct: it should not say "WAVY" because the hair is very straight. Also, if you buy this wig, be sure to open the package outdoors and shake the wig before bringing it into your house. There were many loose hairs falling all over the place and it was a nuisance to clean up. Nice wigNice wig. Not quite as full as I had expected, but good quality for the price.